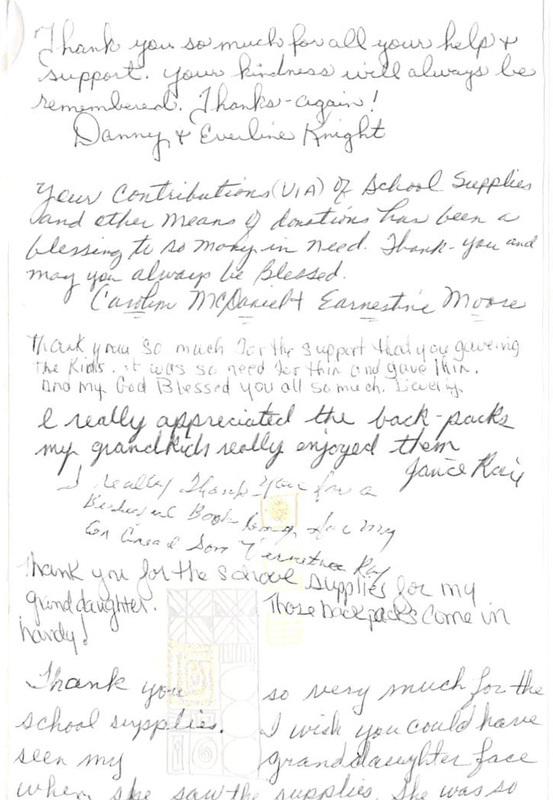 Each summer our congregation takes up collection of school supplies and backpacks for the Kinship Caregivers. Kinship Caregivers are grandparents that are raising their grandchildren. This program is administered by Catholic Charities and has a support group that meets in Flushing. 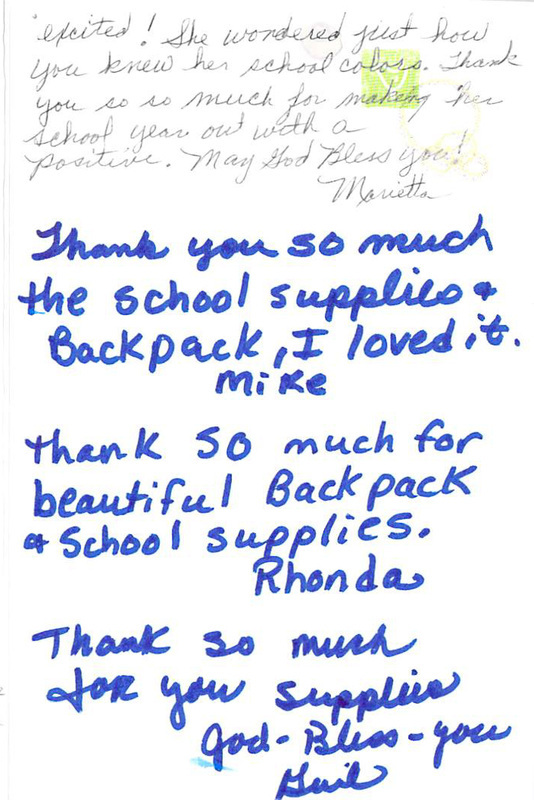 Our members help by placing back packs, crayons, pencils, pens, scissors, glue stix, spiral notebooks, erasers, etc. in the large box in the Narthex. The children and grandparents greatly appreciate the assistance that we provide. 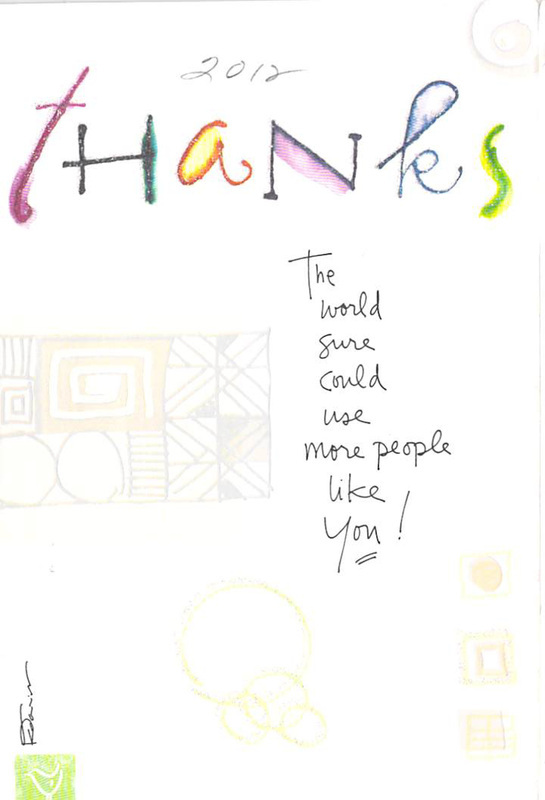 Below are the handwritten notes from many of those that received donations in 2012.